If I could ask you a simple dog-related question such as this one: “Help! What can I add to my pet’s diet for stiffness, achy joints and terrible mobility?” what would be the first thing you think of to add to the diet? It may be likely that somewhere in your thought process, the word glucosamine popped into your cloud of genius ideas. The antidote to all joint problems. Like love at first sight at a high school dance, we have just made eye contact across the room, but what do we actually know about glucosamine? Glucosamine is naturally found in both human and pet bodies alike. Much like the clever combo name Brangelina, the nickname given to celebrity couple Brad Pitt and Angelina Jolie, the name glucosamine comes from the combo names of Glucose and the amino acid Glutamine. Glucosamine produces what is called Glycosaminoglycan and is used to repair the creakiness in your pet’s joints by repairing cartilage and tissues. We have established glucosamine is definitely a friend we want to introduce to our pet’s diet, so who can help us? Meet the marketers behind the pet food manufacturers, AKA ‘The Mutual Friend’. The Mutual Friend claims they have a close-knit relationship and all of their pet food contains glucosamine. Perfect right? “It contains a natural source of glucosamine,” boasts the pet food packaging that promises healthy, strong joints through joint, mobility, or senior support labels. Leading dry food manufacturers go on to say, “We use by-products because they are a rich natural source of glucosamine, and we use lots of it!” This leads the consumer to believe the package is supplying your pet with the sufficient amount of glucosamine, but is this true? Is it enough? According to research, on average, your pet needs about 20mg of glucosamine per 1 pound of body weight a day. This means that a 50lb adult dog would need about 1000mg of glucosamine a day. Okay, so we know how much glucosamine our pet needs. Can we trust our Mutual Friend to supply it in the recommended amounts? This is where the Planet Paws Nutrition Bloggers come in to perform some private investigation. We decided to investigate kibble because it’s the most popular format of pet food. The four most common places to find kibble are big box stores, wholesale clubs, specialty pet shops, and veterinarian’s offices. We decided to head to the most popular spot first, the Big Box Store/Supermarket. Our blog team selected to analyze the bag that most strongly promoted joint support and glucosamine. After choosing the bag, we needed to look at the guaranteed analysis. All pet food labels require a guaranteed analysis on the package to advise the purchaser of the product’s nutrient content. We looked for where the glucosamine was listed and noted the line stated glucosamine min. – 300mg/kg. Ok, time for math class! 300mg/kg basically means 300mg of glucosamine per 1 kilogram of kibble. 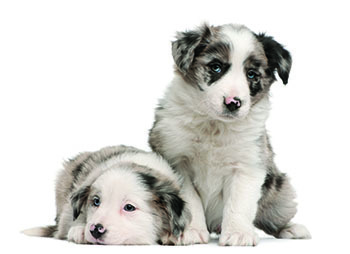 In the pet food industry, it is known that on average 4 cups of kibble equals 1 pound. Therefore 1 kg is equal to 8.8 cups. So if our average 50lbs dog needs 1000mg, we would have to feed it over 29 cups of big box store pet food each and every day! The serving size on the bag suggests that a dog of this size would only need 2 cups per day, so 29 cups probably isn’t a good idea. We jumped back into our car and hoped for better success at our next locations. We headed to the wholesale club, a high-end pet shop, and finally the journey ended at our local vet’s office. We purchased one bag of each of their best selling kibble, all of which claimed promises of joint support. Whole Sale Club Healthy Joints Aid claims: “Natural sources of glucosamine to help support healthy joints, cartilage and mobility in Large Breed Adult dogs.” The guaranteed analysis read: Glucosamine, minimum – 375 mg/kg. This means our 50lb dog would have to eat over 23 cups per day! The high-end kibble we bought at the pet shop claimed: “Contains guaranteed levels of glucosamine and chondroitin sulfate”. The guaranteed analysis read: Glucosamine, minimum – 500 mg/kg. Again, we would need almost 18 cups in order to reach 1000mg. And this was in an $80 bag of kibble! Last but not least, we figured our local veterinarian brand would save us. To put this last hope to the test, we purchased a $120 bag of kibble. This had to work, right? The claim states that it will “help alleviate pain and improve joint support”. The guaranteed analysis reads: Glucosamine Hydrochloride minimum – 950mg/kg. This was by far the highest level in all of the bags we’d tested, but is it enough? Alas, 950mg per 8.8 cups would mean our 50lbs dog would need over 9 cups a day to receive the 1000mg of glucosamine needed. According to this product’s manufacturer, we should only feed 3 ½ cups a day, meaning our pooch would only receive 377mg of glucosamine a day. This is a far reach from our desired amount. Unfortunately, not one of the bags of kibble could meet our required supplement needs, no matter where we purchased the food. Where does that leave us? Is all hope of making friends with our beloved glucosamine lost? Not exactly… if glucosamine is what you need, then you are better off finding a more steady supply by supplementing or even better feeding a species appropriate raw diet to your pet. For raw diet enthusiasts, an easy source of glucosamine may be found naturally occurring in the cartilage of fresh beef trachea. It contains around 5% glucosamine. After the math, 1 ounce of trachea would hold over 1400mg of glucosamine! Back to the pivotal question, can we trust our Mutual Friend? This is where marketing can get tricky. Our Mutual Friend did not technically say we could rely on it solely to contain the recommended dosage needed for our pet’s diet. Caveat Emptor, friends! As pet parents, we owe it to our fur kids to read the fine print and not rely on the claims. “By-products in our kibble are used because they are a high source of natural glucosamine” … if you believe in that statement and rely on it solely to keep your pets healthy and happy, it sounds like you might be the by-product of marketing.